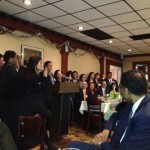 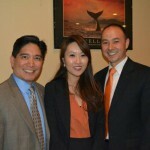 The Asian Pacific American Lawyers of the Inland Empire (APALIE) hosted its inaugural event honoring the Honorable Jackson Lucky of the Riverside County Superior Court and installing officers and board members for the 2013-2014 year on April 18, 2013 in Riverside. 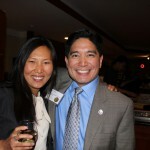 More than 100 sponsors, members, and guests attended the first public event of this new organization dedicated to serving the Inland Empire and its growing Asian Pacific American community. 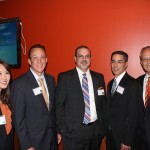 Honored guests from the Southern California legal community, including judges from the Riverside County Superior Court, San Bernardino County Superior Court, Los Angeles County Superior Court, the Fourth District Court of Appeal, and the United District Court for the Central District of California participated and showed their support for APALIE. 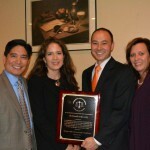 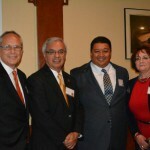 APALIE honored Judge Lucky with its inaugural Trailblazer Award for his career and public service. 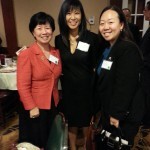 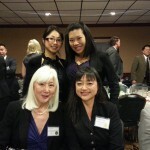 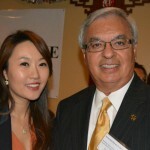 President Sophia Choi thanked all of the sponsors and guests for their incredible support and noted that the idea of APALIE had progressed from idea among a few enterprising attorneys who saw a need to an organization recognized and so generously supported by leaders in the Southern California legal community within a span of just 5 months.